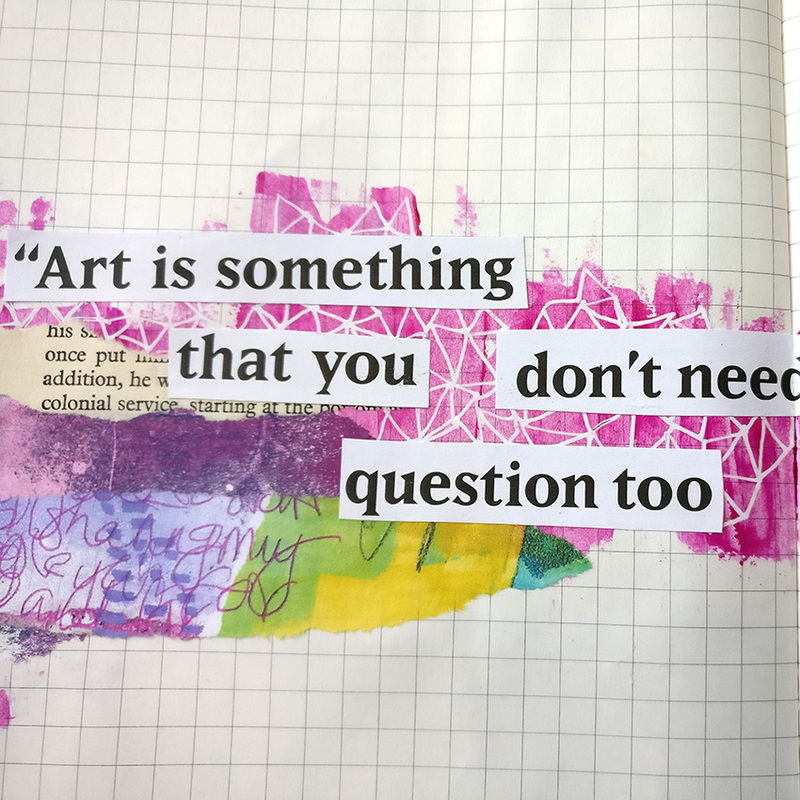 Breaking yourself out of a creative funk is never easy but trying a new medium or a new journal is a great way to get started. I’d had these grid composition books sitting in my stash for ages now, I bought them on a whim with no purpose in mind for them and they sat, waiting. I was tidying up my stash recently (not a small task!) and I came across them. The grids in the composition book called to me and I thought creating inside this would give me a change of scenery which I was craving. I’m working with one of my handmade collage sheets today which are always fun to create and use in my work. Layering up the collage sheets with some simple paint and printed tissue papers created an easy to come together spread. Enjoy the tutorial that I have created for you guys, I’m chatting about my process throughout.